O'Shea Jackson Sr. professionally known as Ice Cube is an American rapper and actor. He was ranked as no. 8 on MTV's list of the Greatest MCs of All Time and called him one of the hip-hop's best and most controversial artist by AllMusic. Ice Cube has a successful musical career and won the heart of millions of people. He has produced different television series and also has a solo clothing line which includes sweatshirts with built-in headphones in the hood strings. Cube earns a decent amount of money from several endorsements such as Coors Lights beer, and Street hides malt liquor. Ice Cube owes Marina del Rey Mansion in California coast worth of $7.25 million, $140,000 worth V8 Vantage Roadster, Rolls-Royce ghost of $400,000, Bentley Arnage of $265,000, Bently Flying Spur worth, etc. Ice Cube's net worth is estimated to be around $140 million. Ice is married to his long-term girlfriend, Kimberly Woodruff on 26th April 1992. The couple has four children; O'Shea Jr, Darrell, Kareema, and Shareef. It has been 25 years of their marital relationship, and the couple is enjoying their marital life. The duo is living together with no sign and rumors of divorce. Ice Cube changed his religion and turned into Islan in the mid-90s. Though he is Muslim, he doesn't attend mosque regularly and called himself as a natural Muslim. In an interview, he was asked if he was a practicing Muslim and he replied yes but Cube is not sure that he will have same religion for rest of his life. He also said he might change religions three and four times before his death. O'Shea Jackson Sr better known as Ice Cube was born on 15th June 1969 in Baldwin Hills, South Central Los Angeles. He was born to Hosea Jackson (a groundskeeper at UCLA) and Doris Benjamin (a hospital clerk and custodian). He grew up along with his siblings. His half-sister was killed when Cube was 12 years old. 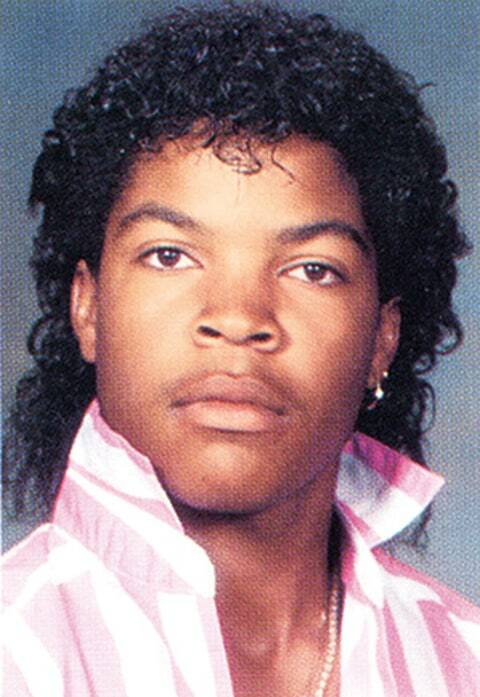 Ice Cube attended William Howard Taft High School in Woodland and enrolled at the Phoenix Institute of Technology. He was passionate towards architecture and completed his diploma degree in architectural drafting. After completing the degree, he went to Los Angeles in order to pursue a career in rap. Ice started his career as a member of the hip-hop group C.I.A. and joined the seminal group Niggaz Wit Attitudes, N.W.A, afterward. In 1989, he started his solo music and an acting career together and got the chance to featured in Boyz n the Hood and Friday which earned wide appreciation and love from fans. Cube is also the founding artists of gangsta rap; a subgenre of hip-hop music, which contained harsh socio-political commentary. During his journey in music, he was ranked no. 8 on MTV's list of the 10 Greatest MCs of All Time, ranked no. 14 on the Top 50 Lyricist of All Time by The Source and ranked him no. 11 on their list of the 50 Greatest MCs of All Time by About.com. Ice Cube outstanding acting won the heart of millions of people as well as nominations for several movies. His performance won his Blockbuster Entertainment Award: Favorite Action Team for the movie Three Kings in 2000 and MECCA Movies Award: Acting Award in 2002.